Kitchen Towels:We use 100% cotton Ring spun in all kind of towels which give smooth and soft touch with good water absorbing quality and can stand many washes and long life. - 100% cotton. - All sizes. - Terry and flat kitchen towels. - Dobby and jacquard towels. - With and without border. 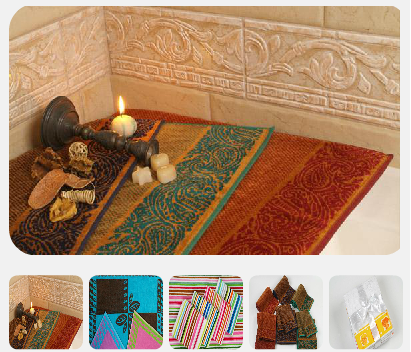 - A wide range of different kitchen towels in different colors. 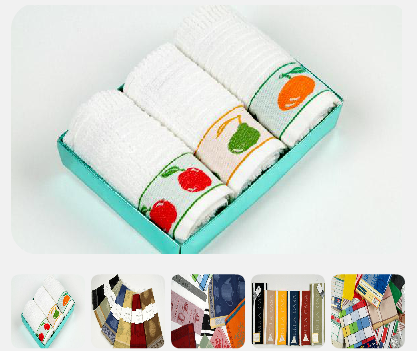 - The ability to produce customized kitchen towels. Weight: Flat: 200/220 GR/M2. Terry: 380/400/420 GR/M2. Terry Towels :We use 100% cotton ring spun yarn for this collection. - 100% cotton. - All sizes. - With and without border. - Dobby and jacquard towels. 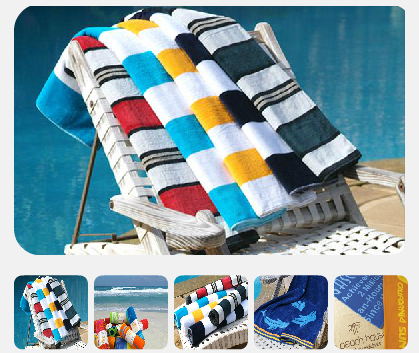 - A wide range of different terry towels in different colors. - The ability to produce customized terry towels. Weight: 400/420 GR/M2 and more. Bath Robes: We produce the best quality bathrobes jacquard velour. - 100% cotton. - A wide range of different bathrobes in different colors. 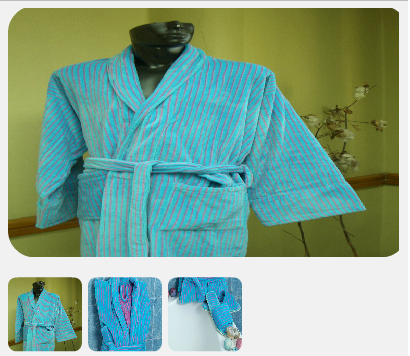 - The ability to produce customized bathrobes. - Sizes : we produce all sizes. Weight: from 380 GSM and more.